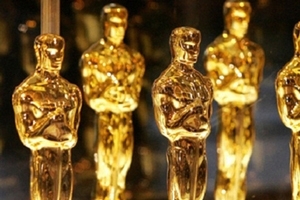 Over the past three years, 89 percent of directors of films shortlisted for the Academy Award for Best Documentary Feature have been white, and 77 percent have been male, trends that reflect a persistent lack of diversity in the genre and the industry, according to a report just released by the Center for Media & Social Impact (CMSI) at the American University School of Communication. Directed by Caty Borum Chattoo, CMSI co-director, a small team of researchers systematically gathered, archived, categorized and coded data for 45 total films across three years (2014, 2015 and 2016) along the road to the Academy Award to find out. A total of 56 formally-credited directors were examined for this analysis, as several films have more than one credited director. This study represents the preliminary findings of a larger study to be released later in 2016. At least over the past few years, Oscar shortlist recognition in the Best Documentary Feature category consistently favors white documentary directors. Recognition of female documentary makers remains consistently rare. Documentaries that work at the intersection of investigative journalism and film – addressing pressing social issues and perhaps impacting them – are regularly recognized by the Academy in the shortlist process. Film festivals are crucial to these top filmmakers not only because of the exposure to audiences, critics, media and distributors, but because of their connection to major awards. Film festivals and online streaming platforms dominate Oscar-shortlisted and nominated films’ distribution plans.